We all want the same things for our children. We want them to be safe, happy, to do the right thing, to be successful, to have meaningful friendships, to learn about themselves and the world around them, and to have the best possible future. At Aoba-Japan International School (A-JIS), we provide a high quality education that helps students realize their full potential. It is our goal to help every student be the best they can be. 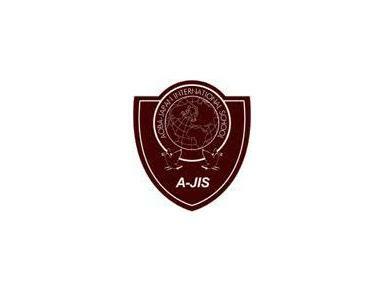 Founded in 1976, A-JIS is a pre-kindergarten through grade 12, coeducational school for internationally minded families residing in Tokyo. We are a non-secular school, welcoming and respecting families from all nationalities and religions. We aim to provide learning opportunities that appropriately challenge every student, allowing them to happily learn in a safe and caring environment. Our experienced faculty endeavors to utilize best pedagogical practices based on current research to provide students with a wide variety of opportunities for success. We provide a comprehensive curriculum, addressing all academic areas, including: English language arts, mathematics, science, social studies, Japanese language classes, music, fine arts, physical education and technology/computers. English is the language of instruction at A-JIS. All classes, except for Japanese language classes, are conducted in English and use native language resources. For students who have difficulty communicating in English, or cannot yet speak English, we have a very strong English language support program, where students are taught to read, write, and speak English in special classes preparing them to move to our mainstream program. Our English language support program has students communicating in English and ready for a regular, mainstream classroom in only one or two years. In addition to the regular academic program, A-JIS also provides opportunities for students to participate in a number of clubs and extra-curricular activities to extend and enrich a wide variety of student interests in fun ways. Opportunities exist for students to join a number of sports teams, participate in band or choir, engage in traditional Japanese cultural activities, as well as participate in a number of other fun clubs and activities that allow students to learn new skills or develop existing ones.